AMAZING WEDDING PHOTOS, COULD NOT HAVE CAPTURED OUR SPECIAL DAY ANYMORE PERFECTLY. 100% RECOMMEND Paris & Sarah @ The Secret Garden, Ashford, Kent. 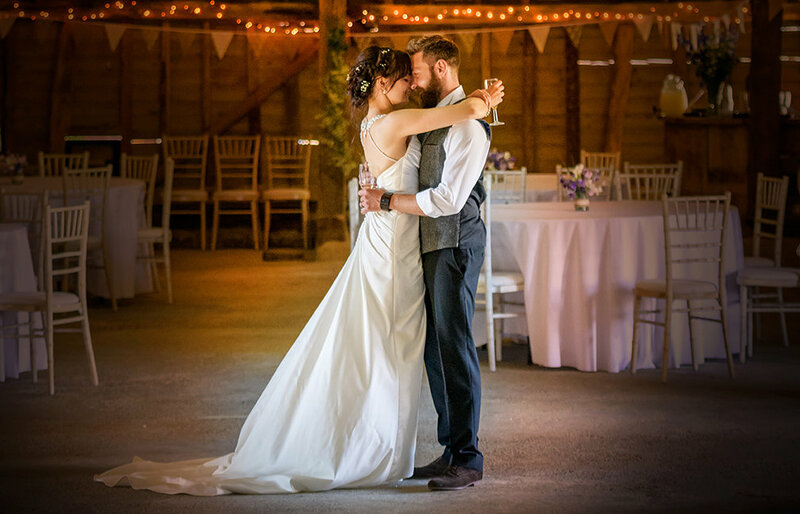 J D LYNCH PHOTOGRAPHY is based in Ashford Kent. With over 15yrs experience in weddings, parties, corporate work and studio photography you can be assured of quality images whether its as a digital format or print. We use the NIKON Pro D850 Camera which is able to produce up to 45mp is perfect for weddings, studio, corporate photography and large format work. All editing is carried out by John lynch. Printing including canvases & albums are produced by professional companies that always give a high quality finish. Please take a look at the photo gallery that has examples of the photography that you require, there are around 1400 photos to view on this site. There are no hidden secrets regarding pricing. I keep it simple. If you would like to have a bespoke quote for your event, please get in touch as I look forward to hearing from you. LOCATION : 5mins from Junction 9 of the M20 in Eastwell.